How can you analyze your website or blog content in order to choose the content and links to share with your Fans? There are a number of data points that you can easily access and evaluate within your Google Analytics accounts that will help you to determine what the best type of content is for sharing on your Facebook page. In one of Facebook’s recent Newsfeed algorithm updates they let everyone know that the amount of time a user spends on your website after clicking through a link that you’ve posted will directly impact whether or not that post is considered valuable content. What does this mean for you and why should you care? Including a great title and picture for your post is extremely important for getting clicks on a post, which is one of the primary indicators that Facebook uses within it’s algorithm to determine whether or not to show your post organically to your Fans. If your post does not receive clicks, likes and/or shares it is not going to get the reach that you’re hoping for. With this additional change, even if you have a high volume of clicks and a great click-through rate on your post if users quickly skim the article and information on your landing page, but then immediately return to Facebook your post will be deemed ‘click-bait‘ and Facebook will penalize you. Some of the important data points to view within your Google Analytics accounts are page views, bounce rates and time on page. 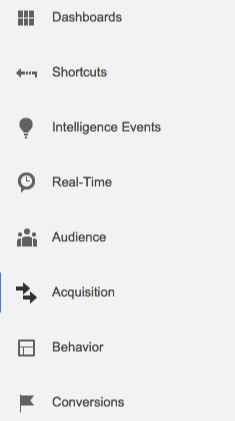 Within your Google Analytics profile select the Behavior section. Within this area you can drill down to view your Site Content. From within the Site Content area you can view All Pages. Beware that this report will be, by default, ordered by Pageviews and some pages contained here are not applicable to the task at hand, such as your homepage or About Us pages. We’re looking to find specific articles and content that keeps users engaged. 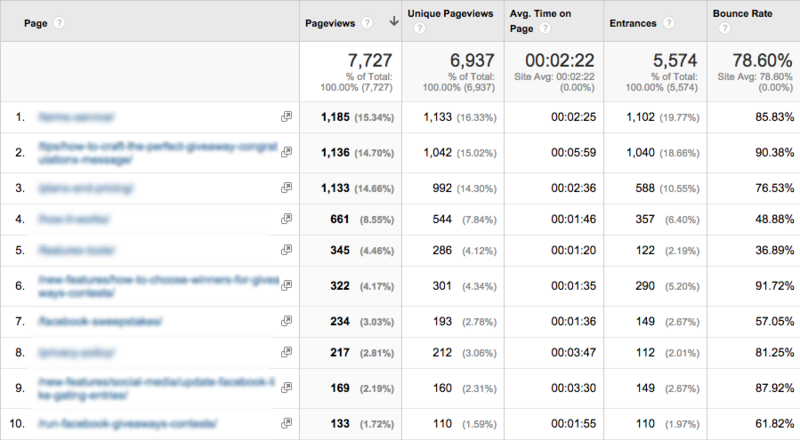 Take a look specifically at Bounce Rates and Average Time on Page. These metrics will help you to gauge whether users finding this content take the time to read through all of it or if they just glance at it quickly. Keep in mind that some content is designed to be a quick scan and this is ok; it may, however, not be the ideal content to post about from Facebook. You should also view this data specifically from Facebook. Go to Acquisition > Channels. Click on Social and then on Facebook. Use the Secondary Dimension button to select Behavior > Landing Page. You are now viewing visits from Facebook by the page that the user landed on. This is the type of data that Facebook is evaluating in order to determine whether or not you are linking to ‘valuable’ content. Viewing your data’s Average Session Duration, Bounce Rates and Pages / Session will help you to determine what content users from Facebook found most engaging when they clicked through to your website.